Living and working in London and Seoul, Meekyoung Shin uses soap as her main material to attempt unique reinterpretation. 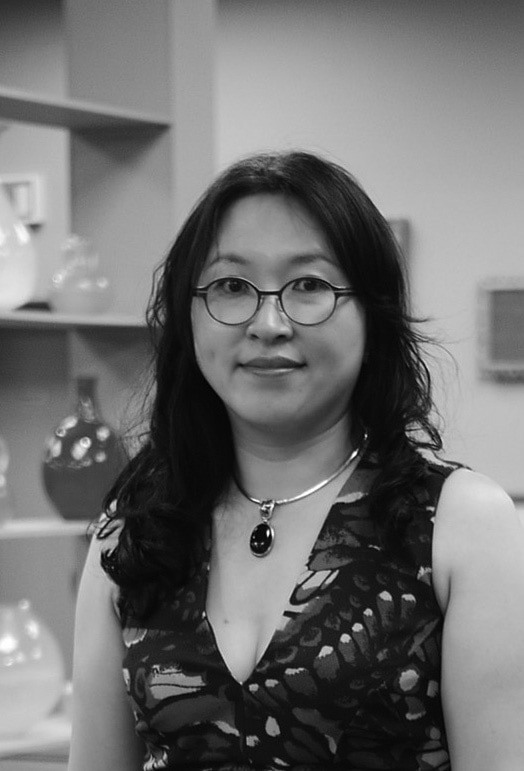 In her work, Shin represents as specific images of ceramics and Buddhas her “translation” of various religious, historical, and cultural problems that she experiences as an Asian artist in the 21st century. Also, her reinterpretation gets again “translated” by the viewers in their distinct conditions and situations through the religious, historical and cultural contexts in which they exist. With the everyday material, Soap, Shin’s work deals with penetration between civilizations, transference, questions, of originality, copy, and replication. Shin has recreated ancient Greet and Roman marble statues with soap and presented in her several solo exhibitions from the early 2000s. Remaking Asian ceramics in blocks of soap is also one of her signature works. The object that is called “artifact” has its own unique temporal flow in a compressed way because of its trait of easily wearing out. The scent, it has the effort of dividing image and reality. The traits render soap into an appropriate material for exposing the artist’s interests in cultural movements, transfers, and translations that take place over long periods of time. Shin’s soap sculptures take the same forms of their original sculptures but possess completely different historical and cultural contents, but rather presenting new contexts. In Translation-Vase, the artist represents a Chinese decorative ceramics, sculpting it from a block of soap, making incisions, filling in, and painting them. The artifacts created by the artist, as they move between Korea, China, and Britain, encounter audiences and are understood in different ways depending on their cultural backgrounds and levels of comprehension. Artifacts are functional things that used to be used by people, but after their cultural values are discovered and moved into museums, they become untouchable objects. Shin is interested in the temporal pause that takes place in this process. Her Translation-Toilet Project consist of soap Buddha statues that were made to be used by audiences in the toilet and then brought back into the gallery, at which movement the process of “artifactization” stops. The soap statues in the toilet stimulate functionality, decorativeness, and audience participation, in the process of which they generate their own provenance, and understood in divergent patterns according to each culture, religion, or gender. In her travels to many places, Shin is also interested in what makes each place distinctive but cannot be transmitted by images. This reflects the fact that the artist attempts to replicate cultural artifacts and to interpret them, they get miscomprehended in different contexts and cannot exist in the same way when they are moved into temporal and spatial contexts, Therefore, transmission, movement, and enjoyment come to possess different contexts. By representing culturally representative artifacts, Shin addresses invisible sensibilities along with the questions of movement and transmission. 중국에서 수입한 화려한 장식의 대형도자기와 단아한 한국의 청자, 백자가 주를 이루는 도자기 연작 <Translation-Vase Series>는 원본을 복제하는 과정에서 다양하게 변주되었다. 중국도자기의 화려한 상감 문양을 그대로 재현하여 장인적 기술의 극치를 보여주기도 하고 조선 백자를 고려청자처럼 또는 청자를 백자처럼 기형과 색채를 뒤바꾸어 정체성을 모호하게 만들기도 하였다. 고전적 프레임 안에 선보이는 각양각색의 <Painting Series> 역시 그 안에 담겨 있던 본래의 이미지는 증발해 버리고 아련한 색채만을 통해 각자의 정체성을 미미하게 드러내고 있는 듯 하다. 비누로 제작된 이 페인팅 신작들은 박물관에 걸린 그림들을 통해 전시자는 무엇을 보여주고자 하고 관람객을 무엇을 보고자 하는 지에 대한 목적성에 의문을 던진다. 이들도 작가의 이전 작품들과 마찬가지로 원작인 고전 페인팅 작품보다 더욱 빠른 시간 안에 변화하는 모습을 보여줄 것이다. 작가는 이러한 과정을 통해 대상의 과거와 현재, 그리고 미래의 모습을 단적으로 드러내고 그들의 전환되는 목적과 용도, 그 존재성에 대해 끊임없이 질문하고자 한다.